Golden Anchor Of God Bible Ministry a.k.a. 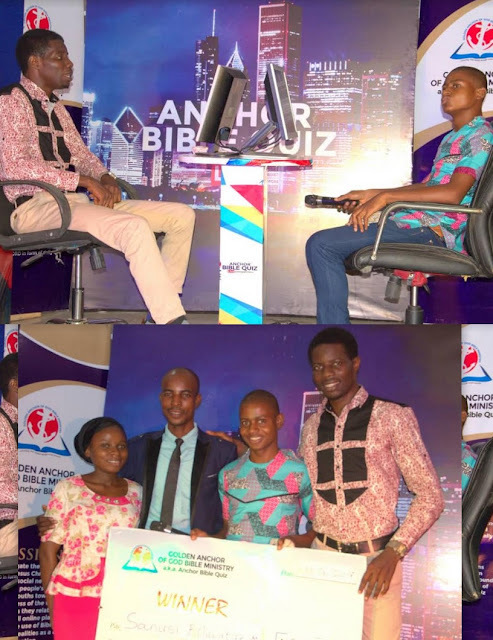 Anchor Bible Quiz - Interdenominational and non-denominational has given the season 2 competition winner the sum of twenty thousand naira after standing out among twenty other contestants. The president of the ministry Mr. Adekunle Abraham explained that the Ministry which has been in existence since 2014 has just started a monthly Bible Quiz which is different from her yearly programme (Anchor Winners Bible Competition). 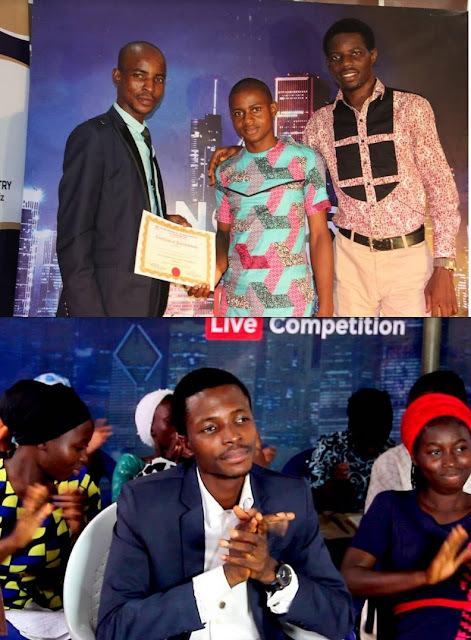 The winner, Sanusi Boluwatife was declared the overall winner of the competition which was held at the Anchor studio in Abeokuta, the Ogun state capital. Sanusi, the church member of Christ Gospel Mission International, Ibadan urged Christians to move more closer to the word of God. "Am glad to be the overall winner of this competition, its a great privilege. I thank God so far over my life, I really appreciate the organisers of this wonderful program, may God continue to be with them. 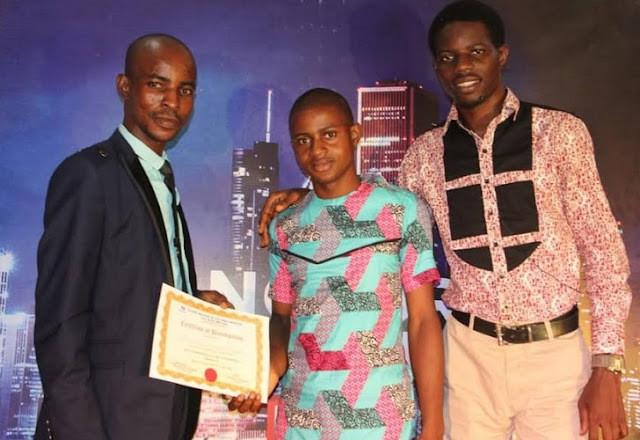 "I heard about this program from a brother in my church, Brother Samuel Olaleye, he was the one who introduced the program to me. "I want to urge all Christians and every other people to make use of social media platform for a great thing not only to meet people". Sanusi expressed his feelings. Speaking at the event, the President of the Ministry said the programme was organized to motivate Christians (Especially youths) to move more closer to the word of God. 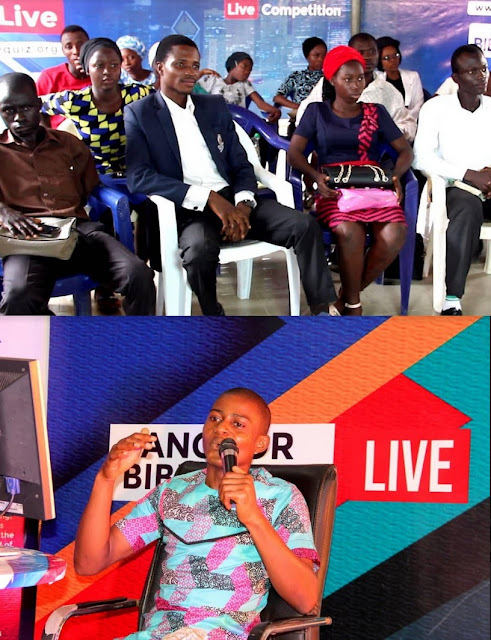 He said, "Anchor Bible Quiz is open to all Christians irrespective of their denomination and monthly quiz will be showing live on Anchor Bible Quiz YouTube channel every Saturday and it’s absolutely free and easy to participate, just send “ANCHOR space YOUR NAME space LOCATION space EMAIL space TEL” to 35818. "Anyone who is interested to appear as audience can equally registered. Send Anchor space Audience space Name space, location space email space tel. To 35818"
Adekunle proceeded further, "Golden Anchor Of God Bible Ministry has decided to start Monthly Children Segment which covers Pry. 4 - JSS 1 classes. "How to register for Children Segment send “ANCHOR space YOUR CLASS space YOUR NAME space LOCATION space EMAIL space TEL” to 35818. “The mission of the bible quiz is to propagate the undiluted gospel of Jesus Christ through the use of social networking; initiating people's minds especially youths towards the consciousness of the word of God even as they relate and socialize on all online platforms through the use of Biblical Quizzes and realities as a daily obligation. However, Adekunle appreciated all the audience at the event and also pleaded for their support by sharing all Anchor Posts both on Facebook, Twitter, YouTube and Instagram. "Anchor Bible Quiz is calling on everyone who is ready to support this Ministry to take the word of God through Bible Quiz global. For sponsorship / supports please contact 07032633902," he said.